Enterprise organizations are constantly looking for ways to deliver innovation faster, without compromising quality, placing DevOps and Testing practices in the forefront of application delivery. 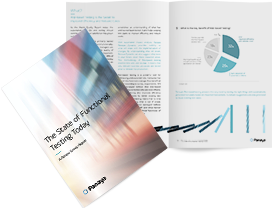 To gauge the impact on QA teams, Panaya commissioned a survey around testing practices, complexities and the effect of DevOps on QA. Read the report to gain real insights and best practices of global QA teams.